As Nashville undergoes a whiplash of change under a web of steel cranes, the Ryman stands sturdy among the neon and glass. Hallowed halls like “the mother church of country music” can’t merely be built like a skyscraper or condo complex after all. They must become — painted with layers of experience and mystery over time. Try to uncover the meaning in their spirit by peeling back the paint, and you’ll only find another color, deeper and richer, worn in. 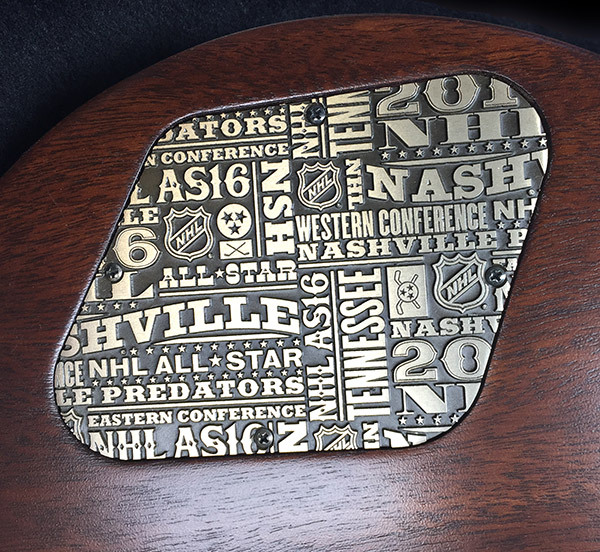 The 2016 NHL All-Star Game, which takes place this weekend in Nashville, already was going to be a special event, with the shift from a traditional five-on-five game to a three-on-three tournament for a $1 million prize. 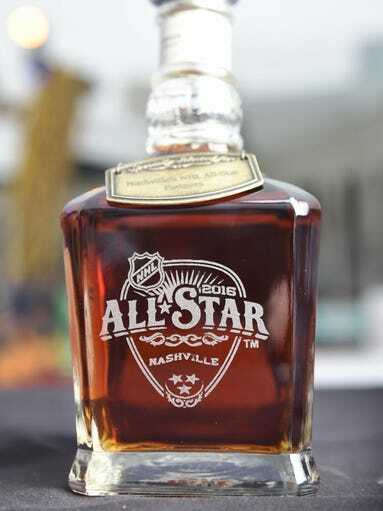 Now comes news that each all-star will receive a pretty neat collection of Nashville-themed goodies. A specially designed bottle of Jack Daniels, which is distilled in nearby Lynchburg. All of the whiskey for these bottles reportedly comes from the same barrel. A bottle of Winter Park Wheat beer, a specialty brew created by Nashville’s Yazoo Brewing Co.
A Goo Goo Cluster, a Nashville candy staple. Most impressively, a custom, personalized guitar from Gibson (which was founded in Kalamazoo, but now is based in Nashville). 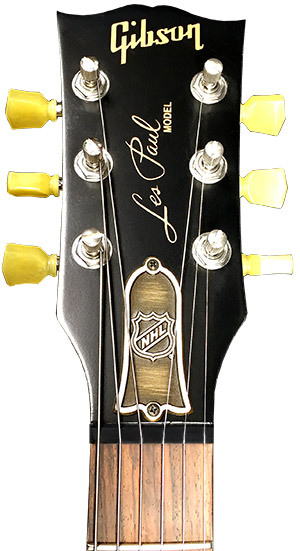 These Les Paul-model guitars have a number of neat features, including a 2016 NHL All-Star Game logo, the individual player’s name (close-up of Shea Weber’s here), and specially designed back plates and truss rod covers. 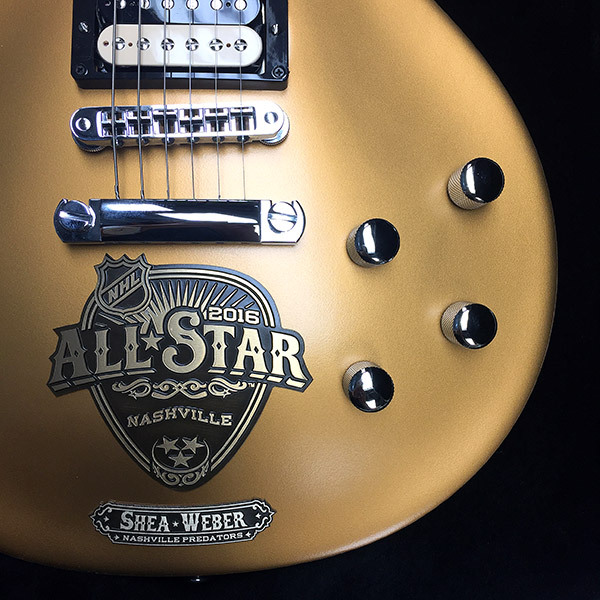 If you want one of these guitars but aren’t a 2016 NHL All Star, your only shot is to win one of the two available at a charity auction that appears to be occurring after the game. If you’re not John Rich, literally or metaphorically, you’ll have to be content with watching the skills competition at 7:00 Eastern on Saturday and the revamped all-star game at 5:00 Eastern on Sunday and hope that none of the players pulls a Kyle Busch with any of these custom Gibsons. I put together a post comparing faceoff strength, goals, and game location for the Nashville Predators over at The Hockey Writers. The post, more my usual speed, shows that home ice at Bridgestone Arena seems to give a home-team advantage to scoring goals and an even bigger advantage to winning faceoffs.